The Metropolitan Police Department operates as the city’s primary 911 answering point and fields calls requesting a response from police, fire and EMS-Emergency Medical Services (ambulance). All calls requiring the Fire Department or EMS are immediately transferred to the appropriate dispatcher, while calls for police service are handled by our employees. Our call center handles more than 800,000 calls per year. When Should I Call 911? When I Should I Use the Non-Emergency Number? It is important to understand when you should call 911 and when you would be better served by using the Police Department’s non-emergency number of 314-231-1212. When any life threatening situation arises that requires a response from the police, fire department or EMS. To report fires and medical emergencies. When a crime is in progress and the suspect is still on the scene or has just fled. There is an intruder in your home or business or if you suspect an intruder could be inside your home or business. Do not attempt to confront these individuals, call 911 immediately! For any violent crime including homicides, robberies, assaults, domestic assaults and sexual assaults. For car accidents when: there are people injured and/or there is significant property damage and/or there is danger to other motorists and/or there are significant traffic problems as a result of the accident. In the event you do not have an emergency but need to ask a question or speak to police. Call takers will do their best to point you in the right direction. Please note, however, no legal advice can be given by call takers. For property crimes when there is no known suspect at or near the scene and it is believed the incident occurred some time ago (for example, a car break-in that occurred overnight but was discovered in the morning; a burglary discovered after you’ve returned from several days out of town). It is important to note that regardless of the situation, if you feel there is immediate danger, call 911. When a 911 call is received, it is answered by a call evaluator. The call evaluator is trained to get as much information as possible in a timely manner. Callers should answer the call evaluator’s questions and follow instructions to prevent a delay in emergency response. What is your address or location? Who committed the crime? Are they still at the scene? Can you provide a description? No matter the situation, you must provide the evaluator with your location at the beginning of the call in order for help to be sent. Our call evaluators understand citizens calling for help are under stress. Evaluators are meticulous and might need to repeat questions or sound stern. Please understand that the evaluators are attempting to maintain control and provide you with prompt service to ensure your safety. What If I Am Put On Hold? 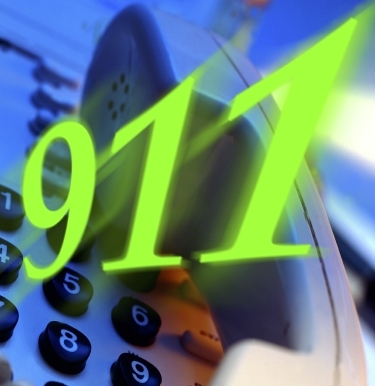 The average 911 call is answered in 4.8 seconds. Our goal is to answer all 911 calls within 10 seconds. However, at various times when the 911 center has a particularly high volume of callers, it may take longer. If your call is not answered within 10 seconds, you will hear a recording instructing you to stay on the line. This indicates your call has been placed in the answering queue. Calls are answered in the order they are received so please stay on the line. DO NOT HANG UP. If you hang up and call back, your call will be placed at the end of the queue which can result in a slower response. 911 call takers receive instant notification anytime a caller is holding and will do everything they can to get to your call as quickly as possible. Evaluators understand callers may feel anxious if there is a language barrier. Translators are always available during 911 calls and can provide assistance with more than 150 languages. Those who do not speak English should provide the call evaluator with their native language. The evaluator will then contact a translator. During this time, callers should remain on the line. Once a translator has joined in on the call, questions will be asked to ensure there is a fluent translation. Once a fluent translation is confirmed, the 911 call evaluator will then ask questions in English with the translator repeating the questions in the caller’s native language. If at all possible, family members and children should not be used during the translation process. If you feel a call evaluator acted inappropriately or that your call was not handled properly, you can ask to be connected to a supervisor who can address your complaint. If you would like information about filing a complaint with Internal Affairs, click here. The St. Louis Metropolitan Police Department Communication Division is committed to providing the best possible service to our community. In that regard, we would like to offer the community an opportunity to share their experiences after calling 9-1-1.